ENSIE in cooperation with Social Platform launches a survey addressed to members at national /regional/ local level and WISEs to collect information about the use of the European Structural and Investment Funds (ESIF). The survey focuses in particular the European Social Fund (ESF) and the European Fund for Regional Development (ERDF). · Where the main difficulties in getting access to ESIF lie. · How the 20% of the ESF devoted to fighting poverty and social exclusion is used. · How the partnerships between the Managing Authorities and the partners, including civil society organisations, have been implemented in different Member States and regions. · How technical assistance and capacity building for beneficiaries have been used by Member States to improve the management of the funds. · How financial instruments (guarantees, loans, equity etc.) have been used in ESIF. · How projects have been funded by two ESI Funds. This consultation seeks feedback from the direct stakeholders of the European Social Fund (ESF) during 2007-2013 programming period in the 28 EU member states as well as of the wider public. It complements the analysis and findings of a series of thematic studies commissioned by the DG EMPL in the framework of the ESF ex-post evaluation. Results of this consultation will be analysed and summarised in a synopsis report that will be published on the consultation website of DG Employment, Social Affairs and Inclusion. They will also be reflected in the Staff Working Document presenting the results of the evaluation. 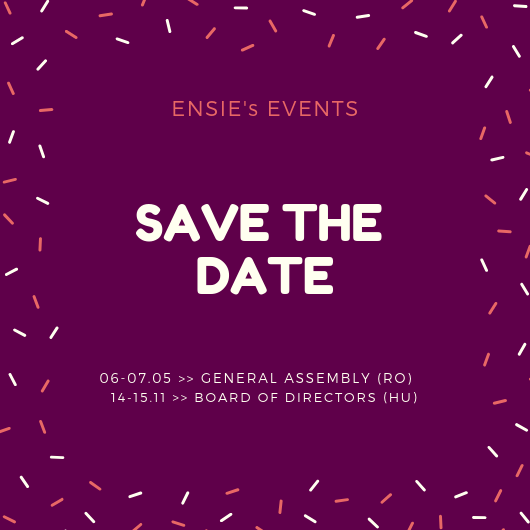 At the occasion of its General Assembly Meeting, ENSIE organised with its members a working session to discuss and share opinions on good practices and experiences from the field about the implementation of projects within the ESIF (European Structural and Investment Funds) framework and the related funds. The results of this working session were also the occasion to feed into the discussion of the Social Platform task force on structural funds in which ENSIE participates. ENSIE is now part of the Structured Dialogue with European Structural and Investment Funds' partners group of experts (ESIF SD) related to the use of European Structural and Investment Funds. More info. State of play of negotiations regarding ESIF programmes for 2014-2020. The implementation of the new regulatory provisions on the involvement of partners in the prepraration and implementation of Partnership Agreements and programmes. Synergies between Funds and innovation. The EU Investment Plan and ESI Funds. For more info, read the Meeting's agenda and the Meeting's minutes. European Commission publication "A Beginner's Guide to EU Funding". This publication introduces beginners to the wide range of EU funding opportunities available for the period 2014-2020. ENSIE organized the training ‘Structural funds 2014-2020; ESF, ERDF and work integration social enterprises’ on March 1st at the European Economic and Social Committee (EESC). Following an introduction by X. Verboven, member of the EESC; K-S. De Abreu Moura from the European Commission, DG Employment, Social Affairs and Inclusion presented the new financing opportunities for work integration social enterprises in the framework of ESF and K. Reppel from the European Commission, DG Regional and Urban Policy, those in the framework of ERDF. The members are also more active in their lobbying activities at national level. For example, the campaigning activities held in Czech Republic, Slovenia and Denmark lead to interesting achievement for the sector at national level. In Slovenia, ŠENT was very active in the campaign, promoting WISEs and the social economy through its participation in several meetings and conferences. ŠENT also organised the “Fourth days of social economy” in collaboration with some other institutes concerning social economy and social enterprises. This conference is one of the most important events in this field in Slovenia. In Czech Republic, the WISEs campaign focused on two main topics: support of social enterprises and employment of people with mental health problems and was based on lobbying through the organisation of meetings and seminars from regional to national levels. The achievements of the campaign were the recognition of employment of people with mental health problems as one of the priorities in the new Strategic plan of Reform of psychiatric care and the introduction of employment of people with mental health problems in some of the regional community plans. In Denmark, the campaign was implemented to different meetings, including some with ENSIE’s participation and the promotion of WISEs and social enterprises lead to a new national framework for social enterprises.